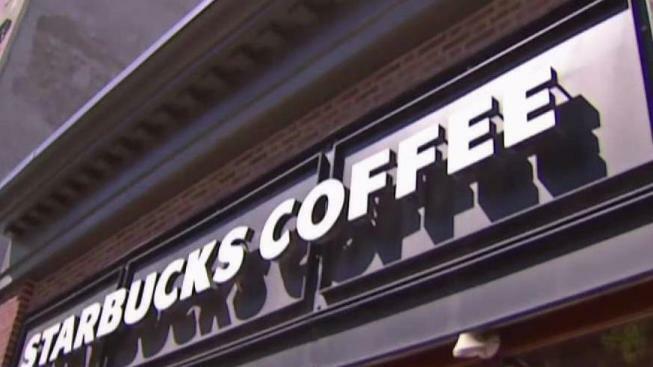 "We don't want anyone at Starbucks to feel as if we are not giving access to you to the bathroom because you are less than"
A new policy at Starbucks after the arrests of two black men inside a Philadelphia store. It's being met with both praise and concern. Chairman Howard Schultz says he doesn't want the company to become a public bathroom, but feels employees can make the "right decision 100 percent of the time," if that choice is removed at the store level. Access to store bathrooms, for which Schultz said Starbucks had maintained a "loose policy," came into even sharper focus after another video, taken in January, emerged. The video shows a black man claiming he was denied access to a bathroom at a Starbucks in California while a white man was allowed entry. Neither man had made a purchase, according to the video shot by Brandon Ward, which is posted on his Facebook page. "We don't want to become a public bathroom, but we're going to make the right decision 100 percent of the time and give people the key, because we don't want anyone at Starbucks to feel as if we are not giving access to you to the bathroom because you are less than. We want you to be more than," Schultz said, according to a transcript posted by the Atlantic Council. Starbucks' policies are under 90-day review but that over the past couple weeks they have urged employees to make customers feel welcome, the company said Friday. "If someone needs to use the restroom, please let them, but if the safety of that customer, other customers or partners is in jeopardy, use your 911 quick reference guide for guidance on any action to be taken," Starbucks said.